If you are looking for the ideal milk frother, this post should be your must-read material. In this article, we are talking about Aeroccino 3, Aeroccino 4 and Aeroccino plus, three high-quality frothers coming from Nespresso. We will be explaining the key differences in their features and froth quality, so if you want to make sure you’re purchasing the right appliance, stay with us and find out which one of them could be the perfect choice for you. Comment Best for small budget. much less money than Aerocchino +. If you dont have time to read the whole article, full reviews and comparison this table is just for you. 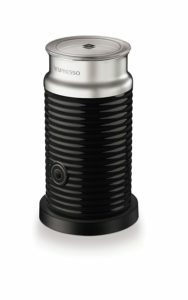 However, we recommend everyone to read and find out more about Nespresso milk frothers. 5 Conclusion: Which Milk Frother Should Be Your First Choice? Nespresso Aeroccino 3 is a retro line of appliances that come in three colors (white, black, and red) and it can provide you with either hot or cold milk froth in no time while making the process pretty simple – all you have to do is perform a one-touch operation. Depending on your needs, you choose the number of times you press the button, which influences the outcome – you can get hot milk, hot milk froth, or cold milk froth. The Aeroccino3 has one button located on the jug itself. Weighing less than 2 pounds and having dimensions of 3.9 x 3.9 x 7.2 inches, this milk frother has collected numerous positive customer reviews, said to be a fast and surprisingly quiet machine. It is only available in this size and it has a minimalistic modern design. “Froth results do not only depend on milk frothers but also on the quality, freshness and origin of milk from which you make a foam.” Aeroccino 3 is NOT dishwasher safe. You can easily clean it using soap and water. The inside is a non-stick surface made of silverstone and you must rinse and then wipe down the inside of the Aeroccino after every use. It is not have a handle. If you need handle on your milk frother check Aerocchino 4 or Plus. The maximum capacity of the appliance is 4.1 oz for both hot and cold milk froth, while the maximum capacity of hot milk is almost twice a size, 8.1 oz. Nespresso Aeroccino 3 is a reliably automated appliance that turns off as soon as the frothing process is finished, letting you create the perfect froth or hot milk effortlessly. Slightly larger and heavier than Aeroccino 3, Aeroccino 4 comes with a ceramic coating, weighs 2.3 pounds and its dimensions are 7.1 x 7.1 x 8.3 inches. 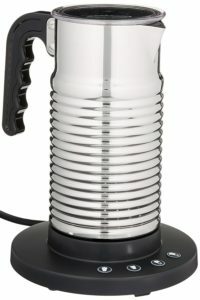 When it comes to its capacity, this frother can provide you with 240 ml of hot milk or 120 ml of froth (both hot and cold). It also offers two types of foam, hot and cold, and makes it easier for you to prepare a large number of beverages based on coffee and milk by providing you with minimalistic design and simple operational functions. While the frothing process for both hot and cold froth doesn’t last longer than 80 seconds, you can get your hot milk in about 150 seconds. The Aeroccino3 has one button on the jug. The Aeroccino4 has 4 buttons on the base, which offers an extra option for the amount of hot froth you want. What will probably make you happy if you decide to buy this frother is the fact that you can wash it in your dishwasher with no worries (as long as you do it under 70 ° C). Another great feature of this frother is the highly convenient handle that makes it easier to use. Finally, Aeroccino Plus can provide you with 130 ml of milk froth or 250 ml of hot milk and it’s pretty convenient for use since it has the practical indicators of maximum and minimum capacity level. You will have your froth ready in about 70 seconds. Aerocchino + has a different body than Aerocchino4 but the same functionality. The whisks is removable and you can use it just to heat milk. When it comes to its technical characteristics, regarding its size, Aeroccino Plus is somewhere in between of Aeroccino 3 and 4 – its dimensions are 4.1 x 4.1 x 6.7 inches. However, in terms of weight, it is the lightest out of the listed appliances – it only weighs a pound. It also has a detachable base as well as a different body and handle when compared to regular Aeroccino appliances. This Nespresso frother makes incredible froth. Conclusion: Which Milk Frother Should Be Your First Choice? There’s no easy answer to this question since the customers’ preferences may vary significantly. However, to conclude this article, we’re summing up the most important differences among them to let you make your final decision. As you could see, in terms of size and weight, while the smallest frother is Aeroccino 3, Aeroccino Plus is definitely the lightest. There is no significant difference in their capacities but when it comes to timing, you may want to know that Aeroccino Plus is said to be the fastest, as well. Click here to learn more about Aerocchino +, check price and read the other reviews. However, speaking of the froth texture, the absolute winner is Aeroccino 4, that offers additional textures, perfect for the preparation of capuccino. You can choose among airy froth, dense froth, and hot and cold milk. When it comes to cleaning the appliances, Aeroccino 4 is probably the best solution for those of you who don’t want to put an effort in cleaning it manually – unlike the other two frothers, Aeroccino 4 can be washed in a dishwasher. 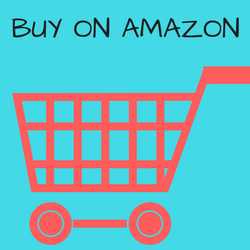 Click here to learn more about Aerocchino 4, check price and read the other reviews. Finally, financially speaking, if you’re looking forward to buying a milk frother on a budget, you may want to avoid Aeroccino Plus, which is the most expensive one, and go for Aeroccino 3, which is the cheapest appliance among the ones that we’ve listed above. Click here to learn more about Aerocchino +, check price and read the other reviews. 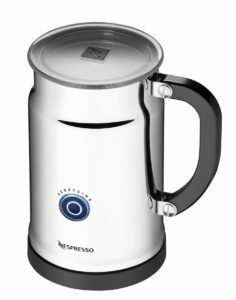 What’s the difference between Nespresso 3694 Aeroccino 3 Milk Frother and 3594 model? The difference is in the colors in which Aerocchino is available. 3594 is available in black, white and red color. The 3694 model is available just in black color. The price is currently slightly lower for 3694. The functionality is the same for both models. How long is the warranty on this products? One-year warranty from the purchase date. Best handheld milk frother versus Aerocchino. Which is better? It really is not for comparison. Portable handheld milk frothers can not make such a rich, thick and dense foam like this Nespresso frothers. Nespresso or Breville, which frother would you recommend? Both frothers are really good. We are big fans of all Nespresso products and we prefer Nespresso. How to use and clean? 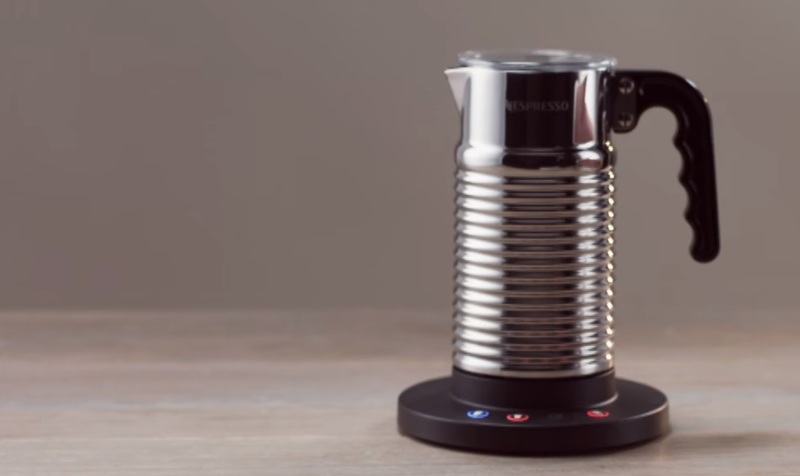 Are Nespresso milk frothers too noisy? These are some of the quietest milk frothers that you can find on the market. They are suitable even for your office desk as it will not interfere your colleagues. We hope you’ve learned something new today and that we have resolved some doubts about Nespresso Aerocchino milk frothers if you had them.